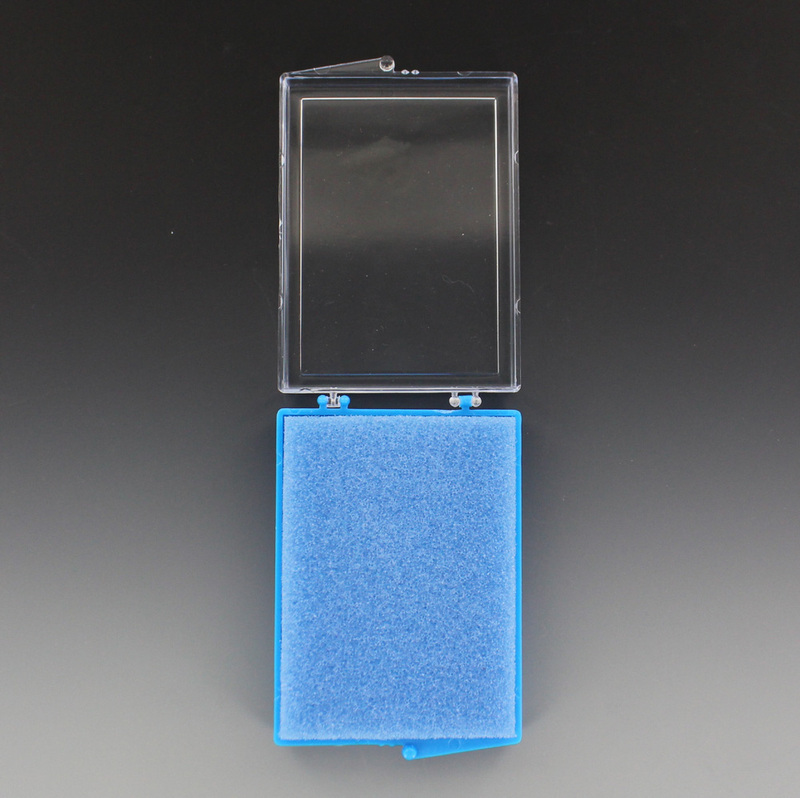 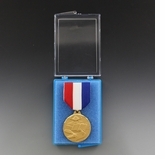 Item Description: Blue plastic presentation box, clear top for medal and ribbon. 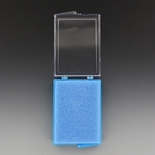 Size: 3-3/4 x 2-3/4 x 3/4 inch. 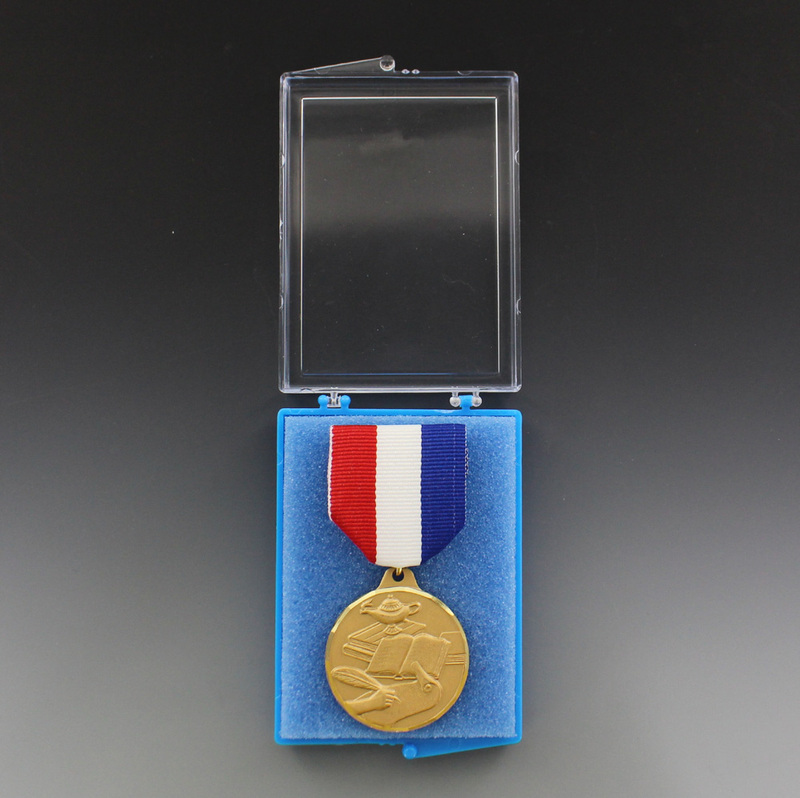 NOTE: Medal and ribbon in the 2nd image are not included.